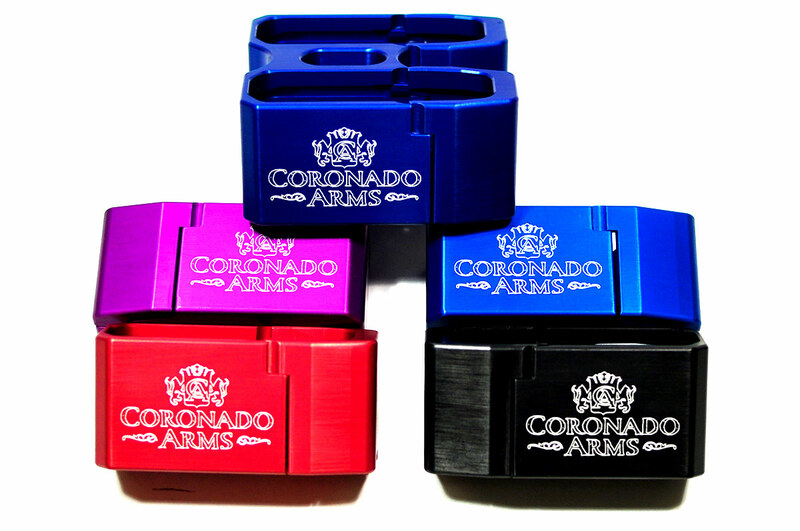 Do you shoot 3-gun competitions or maybe you are interested in some bolt on mods for your AR-15 that can add some color and capacity to your magazines? 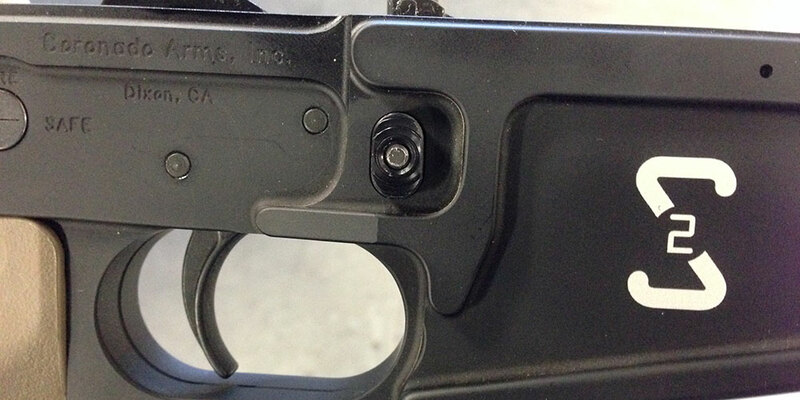 Check out the new Magpul Gen3 PMag Base Extension by Coronado Arms. Looking for something new and cool to do to your new AR-15? It has no performance impact, and doesn’t do anything to help accuracy; but I think it definitely looks cool! Check out laser engraving! I recently got access to a laser engraver and decided I would put my company logo on the “blank” side of my Coronado Arms lower. I think it’s a cool personalization and really makes the gun stand out as mine. Also, the laser engraving on anodized aluminum just looks sharp! What do you think? 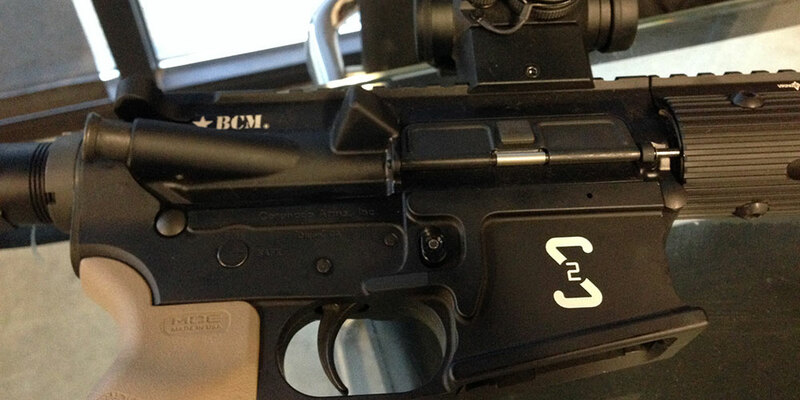 What would you put on your lower if you could get something engraved? I finally got my California bullet button and my Optics mounted and was able to hit the range with my new rifle. Just for follow up, the rifle is a Coronado Arms lower, PSA lower parts kit, Bravo Company upper and bolt carrier group and a Vortex SPARC Red Dot. Everything functioned flawlessly, there were no failures of any type and everything was accurate and held together amazingly. I was able to get everything sighted in without issue, and in less than 10 rounds. Over time I plan to get a lot more range time with the rifle, but from initial first impressions, and minimal use, it’s an amazing build, and I plan to build out a few more in similar fashion. Check out the video review and some action shots below! And don’t forget to subscribe to the YouTube channel! I finally got most of the parts for my AR-15 build up and got everything put together. The first thing I want to really point out is the fit of the upper and lower. I have a Smith and Wesson MP15T AR-15 and when you grab the pistol grip, there is noticeable wobble between the upper and lower. They are just not “precision” fit. With the Coronado Arms lower and BCM upper, there is absolutely no wobble. Everything is an exact fit. I try to outline some of that in the review video at the bottom of this post. This was my first from the ground up build, and I was surprised how easily everything went together. I’m really looking forward to getting this rifle out to the range and seeing how it shoots! I finally got my lower parts kit for my Coronado Arms lower build out. I used a lower parts kit from PSA. The parts kit was a basic kit with a Magpul MOE stock and grip in Flat Dark Earth. Everything went together well and looks great! Check out the video below for all of the details! I’ve been wanting to do an AR-15 build, from the ground up, for quite some time now. With the rush going on, it’s been hard to find parts, etc. But I was recently able to get my hands on a stripped lower receiver. I picked up a Coronado Arms billet lower receiver (Model CA-15). This is my first billet receiver, my M&amp;P15T has a forged lower, and every other AR-15 I’ve ever shot/handled has been forged. The CA-15 is made from 7075-T6 aluminium, with a black hard anodized finish. I’m excited to see how everything goes together and eventually shoots. The overall look and feel of the lower is great. It’s light, but feels very sturdy and has extremely clean lines. Everything seems to be machined perfectly. There is no “extra” material and everything just looks precision about it. I can’t wait to get my parts kit so I can build this thing out! For the parts kit, I ordered a Palmetto State Armory (PSA) setup. It is a complete lower kit including a buffer tube and stock. It has a basic Magpul MOE stock, I haven’t had a lot of experience with Magpul stuff, so I’m looking forward to checking that out too. I went with PSA because it has decent reviews, it was a good price, and it was also instock. Finding parts here in California has been difficult at best. As soon as the parts start rolling in I’ll do follow up posts on everything.